The Kansas City Chiefs promote responsible drinking and positive fan behavior at Arrowhead Stadium. The Chiefs alcohol management plan ensures that fans have a safe and fun experience. 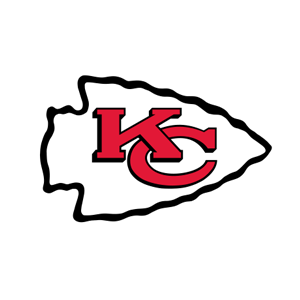 The Kansas City Chiefs would like to thank all of our season ticket holders for making a great atmosphere for our coaches, players and other fans in attendance. Your passion, excitement and support are important to the success of the team. The Chiefs are committed to creating a safe, comfortable and enjoyable experience for their fans both inside Arrowhead Stadium and throughout our parking areas. When attending a Kansas City Chiefs game, all fans should be aware of and comply with the Code of Conduct. Fans are encouraged to send an anonymous text or call security to report any violations of the Fan Code of Conduct. Continuing in 2016, the four teams from the AFC West will compete to encourage football fans to use or be the designated driver. The AFC West Designated Driver Challenge is generating competition and excitement around the designated driver program. For every fan who makes the pledge to be a designated driver at Arrowhead Stadium, during regular season home games, The Chiefs team will score a touchdown and earn six points in the Challenge. There are 17 locations of the Bud Light “Good Sport” designated-driver program at Arrowhead Stadium. Fans who pledge to be designated drivers receive a complimentary soft drink and a chance to be selected as the Designated Driver for the Game. Designated Drivers for the Game are recognized on the stadium video board and receive a Chiefs jacket co-branded with the “Good Sport” logo.